Whenever a top tier chef opens a restaurant in Toronto, the reaction usually reduces grown adults to love-struck teenagers crying about their favourite band. Endless speculation about the food or how the restaurant will look dominates food talk in the city. The first few days after the grand opening sees the restaurant jammed with critics, the curious and chef groupies looking for that next food high. 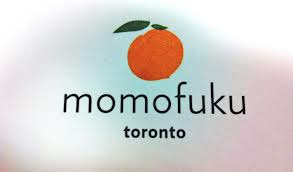 Seven months after Toronto joined the Momofuko noodle bar chain owned and operated by famed American Chef David Chang, I wanted to know if time had been kind or cruel to the restaurant since its debut. 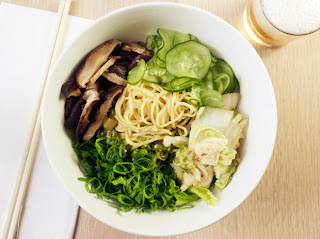 Efficiency seems to be the key word at Momofuko. The décor, the service, it all screams efficient. After we were promptly seated, my dinner companion and I were given instructions and a run down of the menu by extremely knowledgeable and friendly wait staff. Great! Loved that, but didn’t love the seats. Momofuko is a communal dining experience which is fine, but the bar seats are like cements blocks so unless your feeling like Mr. or Ms. muscles and want to move the chairs for, I don’t know, comfort, then prepare yourself to be pretty much stationery for the meal. Appetizers began with Chef’s famous Korean pork bun. The pork meat was so tender, the sauce made of hoison and hint of Korean chilli with sliced cucumber on a soft bun was beyond fantastic. It was completely worth the hype. Disappointment, however, came with the starter of beef cheeks with sticky rice. The cheeks were deep fried with a coating of kung pao, chilli and Sichuan peanut which tasted fine, but the meat was very dry. The ramen more than made up for the beef. Freshly chopped scallions, marinated shitake mushrooms, seaweed, and ginger added high flavour to the noodles, exactly what you’d expect from ramen. The next dish of Humboldt squid was tough, flavourless and extra chewy, and was not thrilled to be in my mouth. I remember thinking, after receiving the bill at close to 80 dollars for two with alcohol, is that all there is? Before he opened his restaurant in Toronto, Chef Chang vowed that the restaurant would not be a carbon copy of the original in New York. I wonder if that vow should be broken.